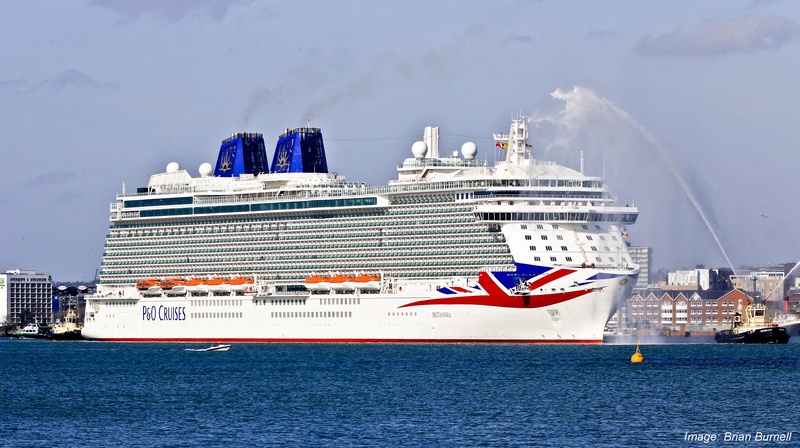 The largest addition to the P&O Cruises fleet, Britannia, has set sail with its extensive glass elements protected from the harsh effects of the marine environment thanks to Ritec Marine Services, a subsidiary of Ritec International Ltd. The £473m ship, launched by the Queen last week, is the latest in a long list of cruise ships to be treated with the award-winning ClearShield Eco-System™ which upgrades the glass to ClearShield Eco-Glass™ that provides protection from sea spray and other corrosive elements. A team of Ritec Applicators from the Netherlands travelled to Italy to treat over 14,700 square metres of glass on board Britannia. This included all the windows, sliding doors, cabin glass and other exterior glass which all needs to maintain a clean, sparkling appearance and optimal vision for greater viewing pleasure. In addition, ClearShield® has been used to keep the ship’s bridge glass clean whilst at sea which is vital for safety, especially in inclement weather and high sea states. Moisture, Alkalinity and Dirt (MAD) can easily cause marine glass, exterior or interior, to become Problem Glass. Unless glass is protected against MAD, it can easily break these promises before, during or after installation – with serious consequences for all. 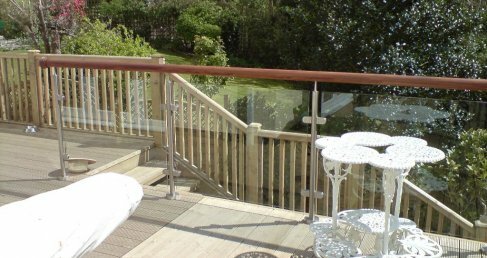 ClearShield’s proven formulation chemically bonds with the glass and becomes an integral part of the surface. Working like ‘non-stick’ cookware, ClearShield® creates a durable and transparent barrier, which is chemically inert, non-hazardous and UV stable, resulting in ClearShield Eco-Glass™. In addition, unlike many other Glass Surface Treatments (GSTs) it will not peel, crack or flake. Her Majesty the Queen christened the ship in Southampton and praised its sophistication, modern design and use of glass. This is not the company’s first Royal seal of approval, Ritec also recently treated the Royal Princess Cruise liner and previously won the Prince of Wales Award for Innovation. “We are proud to have firmly established Ritec Marine Services as a key partner of P&O for glass surface treatments. We continue to grow our business with this prestigious customer and this magnificent project continues to reinforce the relationship between the two companies. For more information on Ritec visit www.ritec.co.uk or email info@ritec.co.uk. Another impressive achievement for Ritec! Ritec are celebrating this week after being named one of the top five new innovations of Ecobuild 2015, the world’s biggest event for sustainable design, construction and the built environment. Ritec were one of five businesses chosen for The Big Innovation Pitch, an initiative aiming to unearth innovation across the sustainable design, construction and energy sectors. The final five were grilled ‘Dragon’s Den’ Style by representatives from M&S, the CPA, CIBSE and BAM FM. Following its successful pitch, Ritec welcomed visitors onto its product-packed stand who were keen to find out more about the benefits of its extensive range of durable ‘non-stick’ surface technologies. Proving to be the first and only glazing component with a three-way guarantee covering performance, added value and profit at every step of the supply chain, Ritec demonstrated how the new ClearShield Eco-System™ can provide both energy and cost savings. Visitors were shown how the ClearShield Eco-System™ transforms new or old glass into a higher value product with low-maintenance performance. Customers do not have to stock a new type of glass either; Ritec’s simple added-value package enables unprotected glass to be either upgraded into ClearShield Eco-Glass™ in the factory or renovated, protected and maintained on-site. Ritec also showcased their new ‘One Stop Shop’ for surface renovation, protection and maintenance that offers customers solutions specifically tailored to their problems. It utilises Ritec’s total systems including the Ritecoat System™ for metal and painted surfaces. In addition, Ritec’s expertise allows the company to continually develop and improve technologies for the renovation, protection and maintenance of a wide range of surfaces in and around the home. 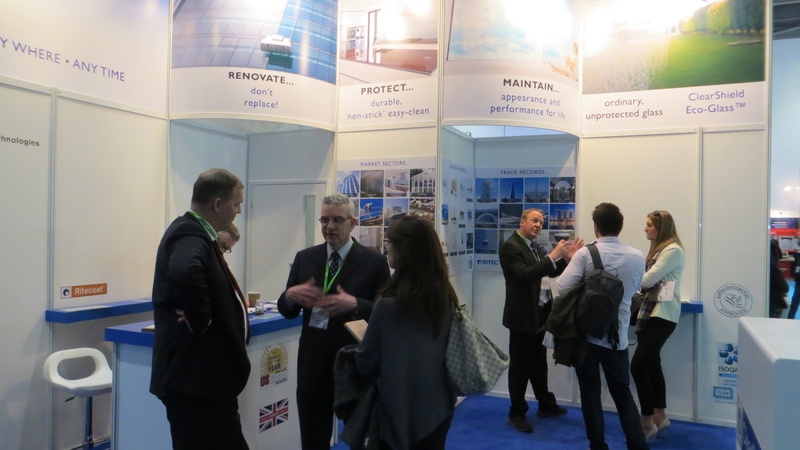 Stephen Byers, Managing Director, says “ Being named as one of the top five innovations at Ecobuild was the highlight of the show for us and recognises the cost savings, customers can achieve by using the new ClearShield Eco-System™. After impressing the judges, we now look forward to taking our relationship with M&S to the next level. For more information on Ritec International, visit www.ritec.co.uk or email info@ritec.co.uk. Over 40 employees from the Cornwall Glass Group have recently received expert training from Ritec International in applying the new ClearShield Eco-System™. Glaziers and production staff undertook the training to apply the market-leading glass surface treatment to both installed and new glass. The sales and estimating teams have also received training to extend their knowledge and application of the product and help push it out to market. This new and proven ClearShield Eco-System™ transforms new or old glass into a higher value product with low-maintenance ‘non-stick’, easy clean performance. It can be applied to new products, protecting them from the first day of installation as well as renovating already installed products which have sustained damage due to moisture, alkalinity and dirt. As a result of its work with Ritec, Cornwall Glass now has a team of trained applicators across its branch network from Penzance to Bristol who can apply the treatment, in both their factories and onsite through their glazing teams. Ritec International are celebrating this week after being shortlisted from hundreds of entrants for the prestigious ‘Big Innovation Pitch’ final for their new ClearShield Eco-System™. The final is being held on Wednesday, 4th March, at Ecobuild – the world’s biggest event for sustainable design, construction and the built environment – and is being judged by Munish Datta, Head of Facilities Management at Marks & Spencer and key figures in the sustainable building trade. A joint initiative between M&S and Ecobuild, The Big Innovation Pitch, aims to unearth a true sustainable innovation across the sustainable design, construction and energy sectors. In a second win, the ClearShield Eco-System™ has also been chosen by an independent panel of judges to be displayed in the ‘Innovation Showcase’, which will be open to all visitors. Ritec will be exhibiting on stand S3076 at the three-day event which takes place at ExCel in London between 3th and 5th March 2015 and showcasing its new ‘One Stop Shop’. The new One Stop Shop Service will see Ritec’s systems convert a wide range of high maintenance surfaces into “non-stick” and easy clean substrates. It will not only provide diversification for existing businesses but continues to add value every step of the supply chain. In addition, Ritec are looking to partner with new businesses who will train their own Applicators to offer customers renovation, protection and maintenance of glass, ceramic, metal or painted surfaces. Ritec are also set to generate interest with their ClearShield Eco-GlassTM for photovoltaic solar panels. Protecting panels from dirt and contamination, this treatment increases the light transmission of photovoltaic glass and increases its effectiveness. This has recently been applied to the panels on the famous ‘Solar Trees’ sited in the Netherlands. For more information on Ritec International, visit http://www.ritec.co.uk or email info@ritec.co.uk.